Along the waterfront in Tacoma is one of my favorite restaurants, The Lobster Shop. Their food is almost always what we expect and more. 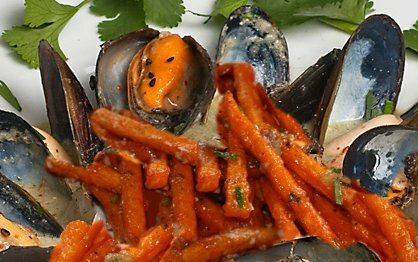 Imagine my disappointment when I ordered green curry mussels and was served mussels in a bowl with sweet potato fries just sitting in the wine and garlic broth surrounded by steamed mussels. I thought, "Why did they add fries? Who wants to eat soggy French fries, even if they're made from sweet potatoes?" It turns out that I did. The sweet potato fries took on the flavors of the wonderful broth and raised the overall experience and nutritional benefits several levels. Small sliced peppers raised the spiciness without being too hot. I longed for more soggy fries, but I'll put that off until the next time we dine along the Tacoma Waterfront Park. 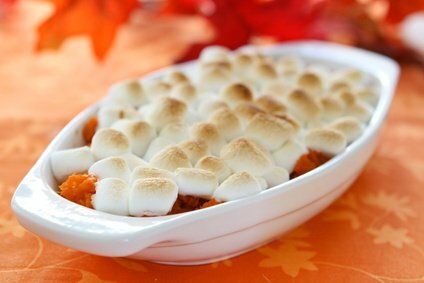 For most of my life I was like most Americans - sweet potatoes were a special baked dish on Thanksgiving. Served with brown sugar mixed in and marshmallows melted on top, it was a sweet offering to go along with mashed potatoes, stuffing, roast turkey and its gravy. Since then I've discovered that you can use sweet potatoes just like you use their cousins, white potatoes. 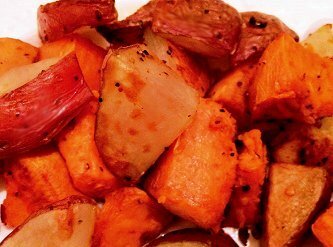 Sweet potatoes and regular potatoes are very, very distant cousins. Sweet potatoes do not belong to the nightshade family like white potatoes do. Sweet potatoes have their roots in America, while yams come from Africa. They are similar root vegetables. 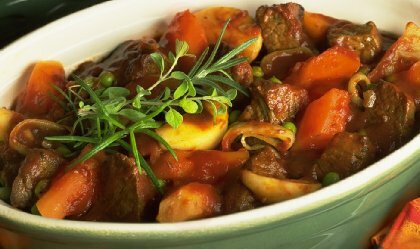 Beef, pork, or vegetarian stew all take on a slightly difference dynamic when you substitute sweet for white potatoes. The sweetness and the color of sweet potatoes only add to the variety of tastes that can be produced. And actually, the color is one of the main reasons to eat sweet potatoes. Beta-carotene is plentiful in many plants and fruits: that's the strongly-colored red-orange pigment of sweet potatoes. Beta-carotene is a pre-curser of vitamin A. 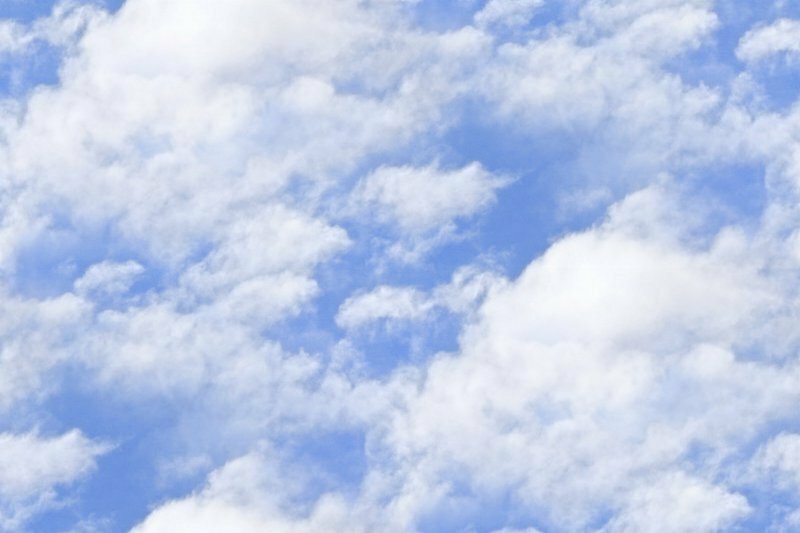 Our bodies convert beta-carotene into vitamin A (retinol). Vitamin A has been used to help provide healthy skin, healthy mucus membranes, improving the immune system, and helps fight cancer in women, as well as reducing the risk of age-related macular degeneration. 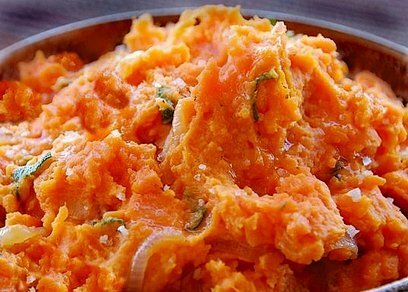 Sweet potatoes also contain pantothenic acid, which is also known as the essential vitamin B5. The Linus Pauling Institute at Oregon State University says, "Pantothenic acid is available in a variety of foods. Rich sources of pantothenic acid include liver and kidney, yeast, egg yolks, and broccoli. Fish, shellfish, chicken, milk, yogurt, legumes, mushrooms, avocado, and sweet potatoes are also good sources." Pantothenic acid is just the tip of the ice berg with sweet potatoes. The nutrition package is stocked with both vitamins and minerals. A short time ago, one of the fast food burger franchises sold baked sweet potatoes and I loved them until I saw the calorie count. I enjoyed two for lunch before I searched out the damage. With butter and their special brown sugar mixture, I had enough calories to run my body for a week without consuming any more food. Unfortunately, I eat every day. On review I decided not to visit any of their locations for a long while. I really enjoy mashed sweet potatoes, which I can doctor as I please. I do like to add a little brown sugar and low fat sour cream, olive oil or butter (which releases the vitamin A) and a few other ingredients. Like mashed potatoes I can add a cooked parsnip and leeks, in addition to a little horseradish. Adding in pan-toasted pecans and whole grain bread crumbs add crunch as well as nutrition. Sweet potatoes come down to personal taste . . . and I think they are very, very tasty. 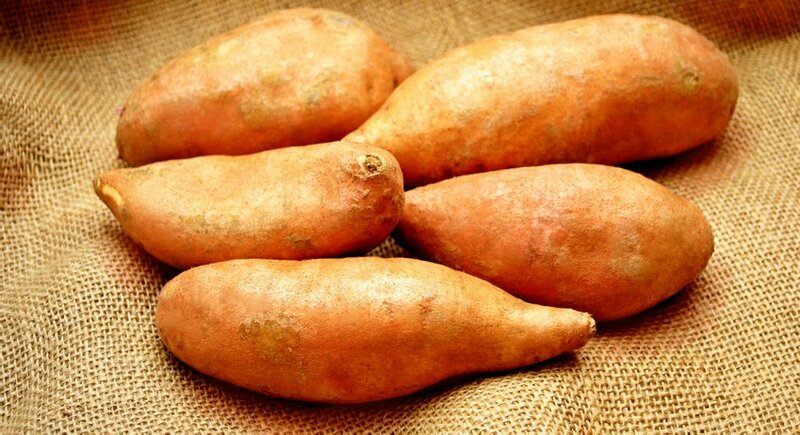 Sweet Potatoes for Beta-carotene & Pantothenic Acid, sweet potato health benefits, vitamin A sweet potatoes, betga-carotene sweet potatoes, Pantothenic Acid sweet potatoes, retinol sweet potatoes, sweet potato superfood super food, sweet potato nutrition, Sweet potatoes and Healthy Aging Healthy Living.